Photographing Jewish weddings in Orange County is a joy for any wedding photographer, and this traditional wedding was no exception. 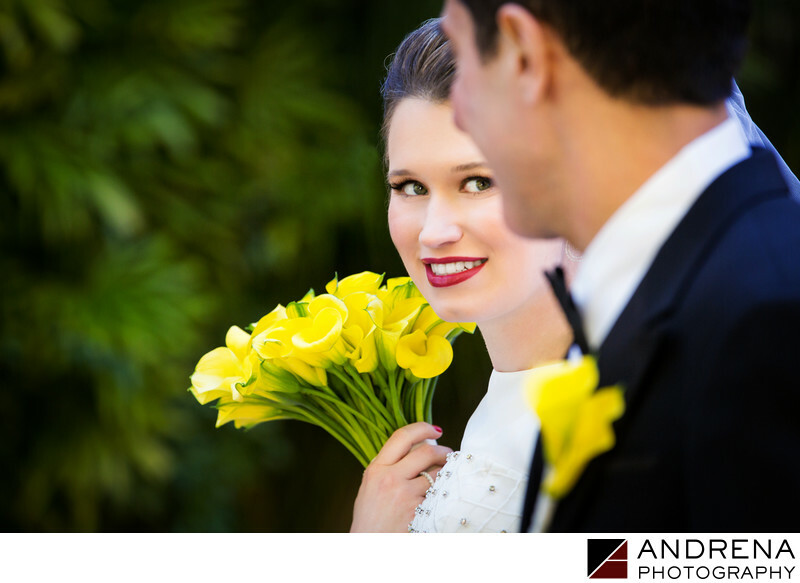 Taking place at the stunning Ritz-Carlton Laguna Niguel, the wedding was full of dancing, love and ceremony, as well as yellow flowers to die for. The thing to keep in mind when photographing a Jewish wedding is that tradition and family are super important to everyone there. Family photos are a huge part of the day, and no tradition is too small to capture. The ketubah signing may take place in a beige ballroom, but the love and laughter it involves is always something that a camera loves. Many Jewish weddings take place in temples, but others take place under lovely chuppahs in beautiful outdoor locations. At the stunning Ritz-Carlton, this couple's guests were treated to gorgeous panoramic ocean views and crystal-clear blue skies for the wedding ceremony, and then a festive night of dancing and food once the celebration moved indoors.